I have not been on a bicycle since I was a child but I have heard it said that once you learn to ride a bike you never forget. 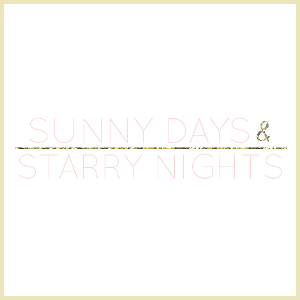 The images above have me swooning over the romantic notation of warm Spring and Summer days spent on slow, leisurely rides upon a bicycle with feminine details (possibly pink and with a basket full of flowers). Although out of my price range this bicycle is adorable and I love that this bicycle has a picnic basket. You can look here for many more pictures guaranteed to make you want to trade in your car this Spring for something on two wheels. so cute, love the first picture of lauren! I have a pink bicycle as the one in the 4th pic! And I love to ride it in spring and summer! Umm...I forgot. After learning how 3 different time, I still can't ride very well. I must the exception because it seems everyone else has no issues. Here in Denver, a lot of people bike to work and on the weekends, you see a ton of people biking trails... I don't have a bike, but considering. riding a bike seems like one of those quintessential summer activities - and i love how these ladies do in in style! I so want to get a bike this summer! I'm so excited to go bike riding once the weather gets a bit warmer. 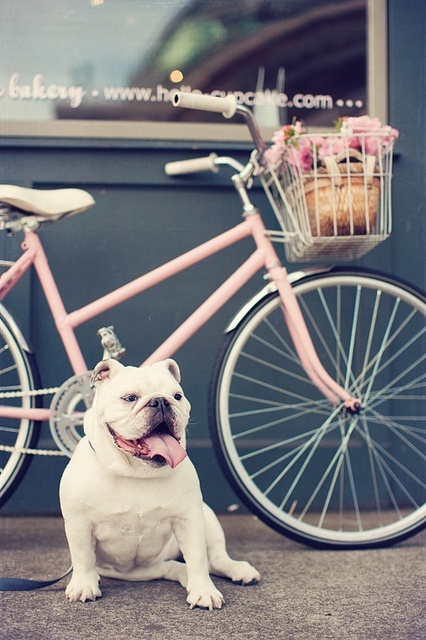 That chubby bulldog with the sweet pink bike is too cute! My favorite is the bulldog photo! I miss bicycling! It was such a long time ago I did it..
Love this bicycle inspired post, can't recall the last time I rode a bike! How glamourous do all these ladies look, they make biking seem so stylish! Nice pics. I gift my bicycle t a friend who used it ore than me..now it has been years without riding one!!! A few years ago I decided to buy a bike and start riding again. I bought a cute trek navigator in blue and my boyfriend me a basket to put on it. I love riding around the neighborhood on my blue bike with the cute basket. Aww all of these are so cute! My bike is sadly an ugly boy bike that my dad tricked me into buying so that he could use it. A cute one would be so fun - I'd definitely get one with a basket. Also, thanks for the comment. I'm hoping moving out will do the same for me. Its time to start being more independent! Love all these pics! Need a bicycle! All these bike pictures are so pretty. Confession: I barely learned how to ride a bike in the first place. I feel like if I was to get on one now, I would literally tip over on it. I love girls on bikes!! I've been meaning to buy a nice one for a while now, this summer will be the one, I am sure! Haha I think I've pinned almost all of the above images to my Pinterest board! I went on a class trip to France in high school, and they planned a bike tour for us. I LITERALLY had not ridden a bike in ten years, but thank god it did come back! OMG just when I thought I had curbed my need for wanting a vintage bike, I had to find this post LOL! the photos are great. thanks for the comment. shall we follow each other? I adore riding my bike in spring and summer! Awww, I want to have a flower basket on a bike too!! I love the images of these chic ladies riding bikes in dresses. Tracy, I haven't been on a bike since I was a child also. So I understand. It's great exercise!!! These pics are inspirational. I love bike riding. I was the same as you until about a year ago...hadn't been on a bike in a long while and was nervous about it. There's definitely a freeing feeling when you're riding a bike.